The Argentines didn’t want to play an exhibition match in Israel in the first place, but would have come to Haifa. Then Culture and Sports Minister Miri Regev moved in. Such meddling would also break the rules of FIFA, the soccer world’s governing body. That’s why Macri politely declined Prime Minister Benjamin Netanyahu’s request to intervene in the decision to call off the exhibition match set for Jerusalem. 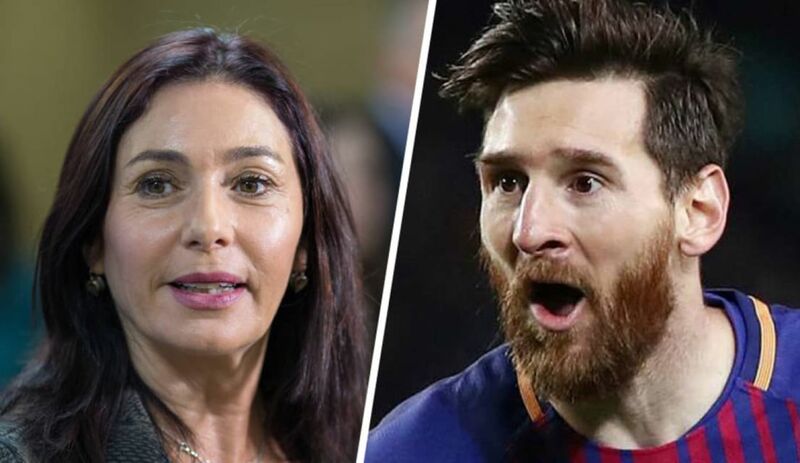 Culture and Sports Minister Miri Regev not only doesn’t get this, but she’s the main culprit for legitimizing Argentina’s decision not to come. If there’s one thing that Israeli governments have been scrupulous about over the years, it has been not to mix politics and sports. But now Regev has done exactly that, crassly. Not only did she suffer a crushing defeat, but the big losers are the fans who yearned to see Lionel Messi in the flesh. And this criticism has nothing to do with her party, Likud, or her political opinions. Argentina has played at Jerusalem’s Teddy Stadium before. And Spain showed up during the official World Cup qualifying matches less than a year ago. The Argentines never wanted this game in the first place. They didn’t want to leave their training camp in Barcelona and go to Israel en route to Russia, where the World Cup begins on June 14. But money dazzles finer people than anyone in Argentine soccer. The game was also agreed on against the opinion of Argentina head coach Jorge Sampaoli, but it was supposed to take place in Haifa, not only at Israel’s best stadium, but at the one Argentina asked for after checking the logistics. It’s also the easiest stadium for fans to get to from all over the country. Beyond squandering millions in taxpayer money, in forcing the game to move to Jerusalem, Regev displayed gross intervention. With all due respect to the boycott, divestment and sanctions movement and its people in Spain, who demonstrated there when Israel played in Gijón and before Spain played in Israel, they’re not the ones who stopped Argentina from coming. If the game had stayed in Haifa, it would have happened. The move to Jerusalem and marking the game as part of Israel’s 70th-birthday celebrations gave legitimization to Israel’s opponents. They didn’t score a single goal but Regev did – an own goal, perhaps the most spectacular one in Israeli soccer history. In contrast to the mistakes by Liverpool goalkeeper Loris Karius during the Champions League final, these miscues didn’t stem from a concussion or a lack of confidence, but from a surfeit of arrogance and nationalism. Regev’s announcement to the press overnight showed that she still doesn’t understand her mistakes. There’s a saying that a thousand wise men can’t rescue a coin thrown into a well by a fool. The damage wreaked by Regev is far greater. It brings to mind an old saying by the Jewish National Fund here in Israel: All it takes is one fool to burn down a forest.